To Teach or Not to Teach: Is That Your Question? Home » Continued Educationtitle_li=Lake Wales employmenttitle_li=Lakeland Employmenttitle_li=Lakeland Jobstitle_li=Polk County communitytitle_li=Polk County employertitle_li=Polk County employmenttitle_li=Polk County jobstitle_li=Polk County Staffing Servicetitle_li=Winter Haven employmenttitle_li=Winter Haven jobs To Teach or Not to Teach: Is That Your Question? Teachers are, undoubtedly, one of the biggest assets in today’s society. They shape and mold our upcoming generations from their very first days of school, until they are ready to head out into the collegiate and career world. At PHR, we especially value teachers since we are on the receiving end of many of their former students as they attempt to find employment and begin their careers. We encourage those who are in the classroom every day to keep up the good work, because we see the results of your efforts every day. Currently, there are (approximately) 111 teacher vacancies in the Polk County school system alone. 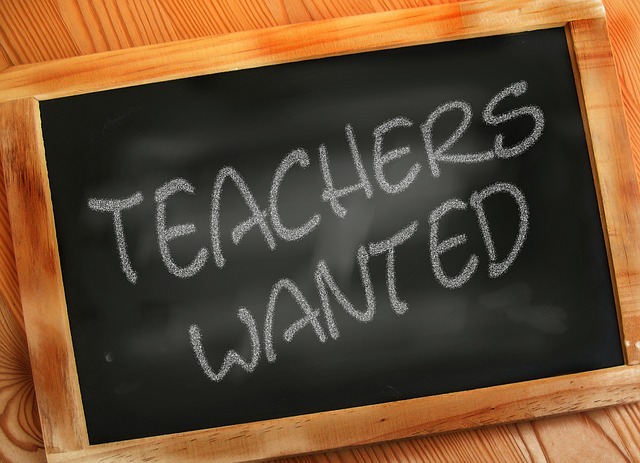 In Central Florida, there are multiple school districts hiring, and all of them have a need for committed, compassionate, and professional educators. However, we understand that the job is difficult, days can be long, and over time, the education profession can wear down the men and women that enter their classrooms each day. If you are feeling the burnout at the beginning of this year, and wondering about your future in education, it’s easy to begin to ask yourself if you should teach, or if you should consider moving on. Ask yourself why you’re feeling the burnout. Have you actually lost your passion for educating, or rather, are you feeling strain from a difficult relationship with your principal and/or fellow teachers, a difficult student population, or even your daily commute? If you feel that individual factors are making your job difficult, and not the educating profession itself, consider looking into open teaching positions in other schools, or even other districts, to improve your situation and help you revive your love for teaching. If you’re struggling with your current curriculum, or have fallen out of love with the subject matter you’re teaching, there are things you can do to help. Attend workshops and trainings whenever possible, even when they’re not required, to give you ideas for enhancing and changing up your curriculum this school year. Adding a fresh spin to your subject matter can make a huge difference for you AND for your students. Seek advice and counsel from seasoned educators. Teachers who have walked the path for many years know the ups and downs that come with the territory, and can offer guidance of whether your feelings are a normal “low” for the job, or if you need to seriously consider a different profession for the time being. Sometimes talking out your feelings with someone who understands can help with personal clarity and perspective. Make a pros and cons list. Decide how choosing to teach/ not teach would improve your personal self, your home life, your family, etc. and in that list, include other options for employment you’re considering and how they would impact your daily life and your finances. If you are entering your classroom this school year with a renewed passion for your students and fostering their love for learning, good for you! We can’t wait to see the great things that your students accomplish because of you. However, if you think you need to step away from the education profession for now, whether it be for personal reasons or outside obligations, PHR Staffing Solutions is here to help you walk the journey of finding a new career path and employment that works for you. We’ll help you find openings that match your current skills and qualifications, so you will be set up for success from the very beginning. Give us a call to get started, or if you see an opening that interests you, apply here on our site!